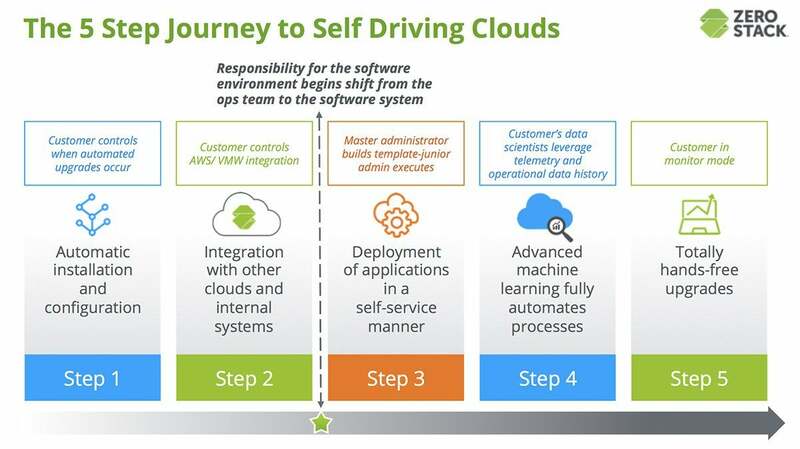 ZeroStack outlines the five stages to creating self-driving clouds and provides a roadmap to get there. A few years ago, the Society of Automotive Engineers (SAE) outlined the five stages of self-driving vehicles. In actuality, there are six levels, but the zero level is no automation, so we will ignore that. The idea behind the different phases is to make it possible for us to get there in a reasonable, phased approach. It’s unrealistic that the car manufacturers could go from where we are today to a fully autonomous car with no driver or even controls. Even if the automotive community could build an autonomous vehicle today, very few people would have enough trust to use a car with no controls. When it comes to a massive shift like this, crawl-walk-run is definitely the right approach — and that’s what the five stages are designed to do. Similarly, with cloud computing, utopia is a cloud that runs itself. Resources can be provisioned, software upgraded and infrastructure optimized all without human intervention. That certainly seems like a nice vision, but there is no IT professional who would trust a fully autonomous cloud. The journey to self-driving clouds needs to be gradual, like it is with automobiles, with different levels leading us to utopia. However, there is no society of cloud professionals working on an industry definition, so IT pros are left to take this journey with no map. Level 5: Automated upgrades, where the customer monitors the process. The end goal would be a cloud where application developers can spin up their own infrastructure resources in a private workspace (think a private cloud within a cloud) without requiring the IT department to be involved. This could pay significant dividends for businesses because infrastructure management is often the bottleneck in the application development process. With this architectural model, businesses can operate as fast as they want and do constant updates without infrastructure operations ever getting in the way. This might seem like it spells doom for all the IT professionals out there, but it doesn’t. 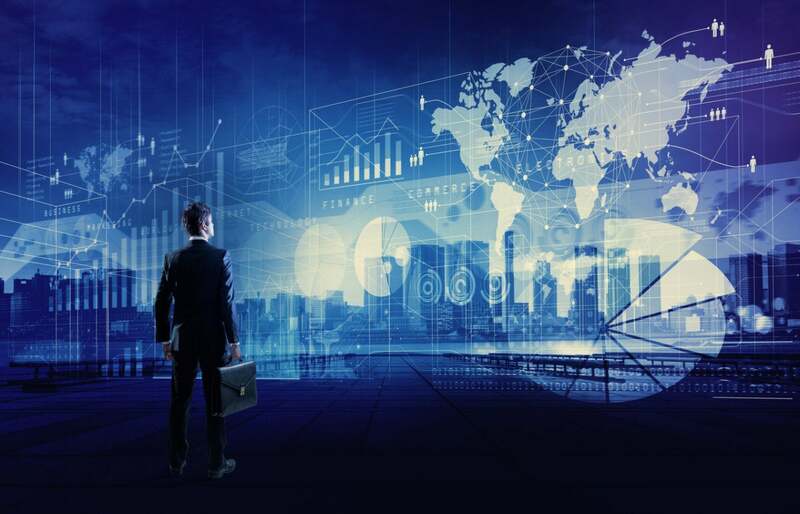 I’ve talked to business leaders who desperately need their IT organizations to focus on innovation instead of spending all their time patching, provisioning and configuring. Automating these tasks will enable companies to be in a mode of constant innovation instead of the starts and stops that exist today. There needs to be a starting point, and the one ZeroStack outlined involves deploying its Intelligent Cloud Platform, which gives the customer most of the control over updates and configuration changes. This may seem a bit self-serving, but it does achieve the goal of giving a company some automation capabilities while leaving the engineers in control over what happens. The digital era requires businesses to move with speed, and that is causing IT organizations to rethink how they work. The vision of the self-driving cloud makes sense, but the task of getting from here to there can seem daunting. ZeroStack’s five levels give companies a reasonable set of steps to get there so we can crawl, walk and then run to the cloud.